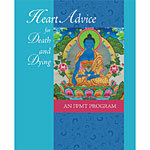 In this seven-DVD set Rinpoche gives essential advice and inspiration for all those offering service and studying in FPMT centers, study groups, and projects. 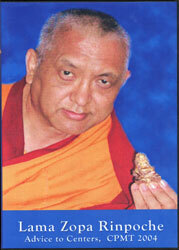 The advice includes benefits of the FPMT organization and centers, goals for the organization, benefits of holy objects and centers, social service, the importance of the attitude of service, the role of the Dharma center, the importance of taking karma into account, respect for your resident teacher and Sangha, the cause of success, and the future of the FPMT. In addition, Rinpoche gives a very clear description of how to do our daily practice, with special relevance to offering service. Also included is Khenrinpoche Lama Lhundrup’s talk about the heart of FPMT – essential for all directors, spiritual program coordinators, and FPMT resident geshes and teachers. 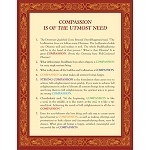 This DVD set is recommended for use by centers to inspire and renew inspiration for offering service. 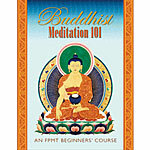 It is also an excellent introduction to the FPMT mandala for all new students, as Rinpoche’s teachings are mixed with shots of FPMT center directors, spiritual program coordinators, and other CPMT participants from all over the world. Click here for transcripts of these teachings by Rinpoche can be extracted from the CPMT 2004 minutes which can be found on the members area of the website.